When you head out for a ski, don’t leave Fido at home! At Tahoe Donner Cross Country you can enjoy cross country skiing, snowshoeing or even fat biking with your dog by your side. The dog trailhead is located to the south of the building adjacent to the snow storage area. A trash can and waste disposal bags are provided for your convenience. Please check with staff if normal dog trailhead is blocked by snow storage. • Proof of rabies, distemper and parvo shots must be provided. • Day pass or season pass is required for skier and pet. • Dog season passes are only available to season passholders. 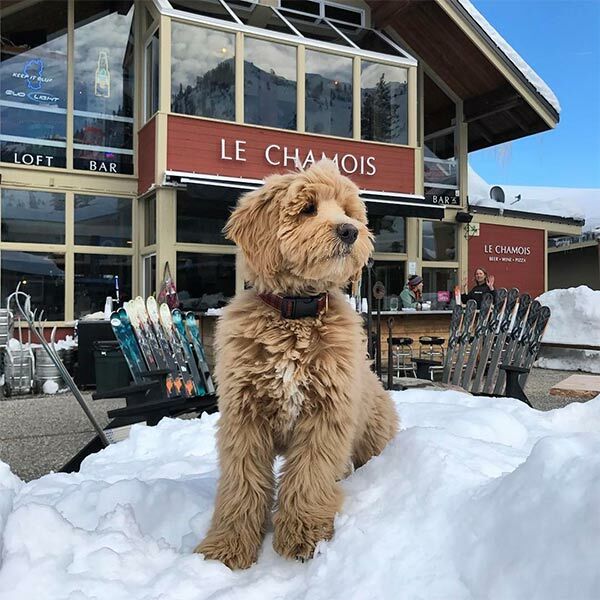 • Owners must maintain adequate liability insurance coverage at all times when visiting Tahoe Donner Cross Country Ski Area with their pet. Day pass – Please keep your pet in the car while you purchase your passes. 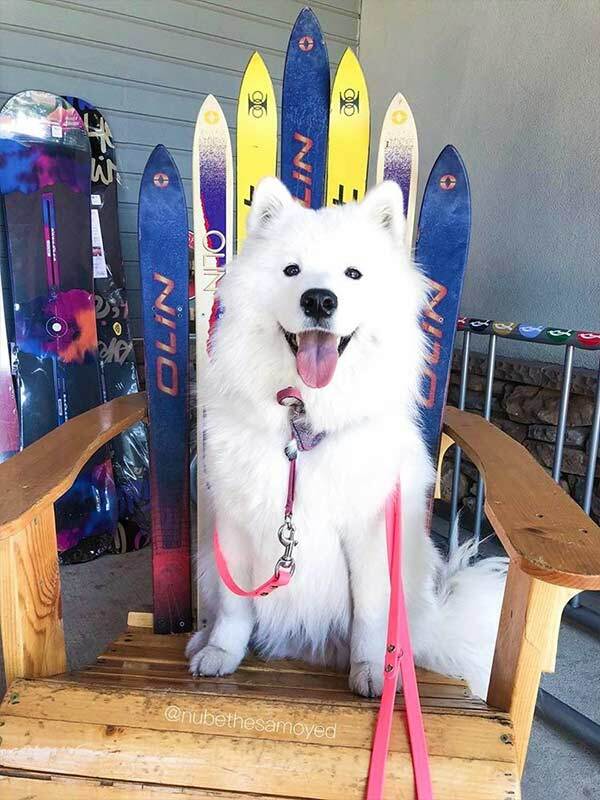 Season Passes – If your dog has not had a pass in the past, bring them in on a leash through the main entry to get their photograph (midweek non-holiday only). If we have a photo on file, please keep your pet in the car while you purchase your passes. – Mon – Fri (non-holiday) 8:30 a.m – 5 p.m. (7 a.m. – 5 p.m. for season passholders on *early bird days. – Weekends 8:30 a.m. – 9:30 a.m. only. (7 a.m. – 9:30 a.m. for season passholders on *early bird days. *Early bird days are every morning except after a storm when we need to complete snow removal. Always check the grooming report to confirm conditions and restrictions.